Grade I listed and designed by Sir Christopher Wren, ‘The Royal Hospital’ was founded by King Charles II in 1682 as a retirement and nursing home for soldiers of the British Army. Structural Renovations were employed by Wates Construction to stabilise the chimney breasts within the building, reform feature brickwork dressings around windows and repairs to stonework within a number of the rooms. The chimney breasts had the timber panelling removed exposing the cracked brickwork beneath. Bed joints at regular centres were ground out, being careful not to damage the 300 year old hand-made bricks. Stainless steel helical bars, set in non-shrink cementitious grout were installed into the pre-soaked slots. The slots were then repointed using a lime mortar. 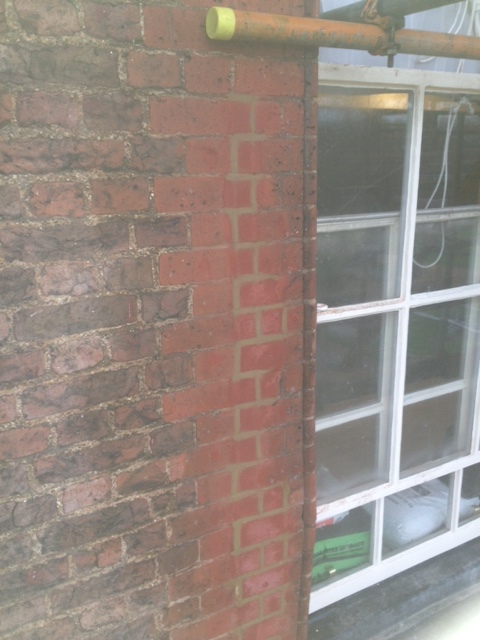 The deep red brickwork dressings around some window openings had, over time cracked and spalled due to expansive corrosion of metal inclusions and frost damage following moisture ingress. The defective brickwork was removed using only hand tools to avoid further damage. Stainless steel pins were drilled in to sound substrate and set in a two part polyester. Usually a specially colour matched, modified mortar, the repaired areas were reinstated and whilst still not fully cured the brickwork was carved to the required profiles to include ‘dummy’ perp and bed joints, which were subsequently pointed with another colour-matched mortar. Stone work repairs were completed using stainless steel pins for support and a colour-matched, modified mortar. 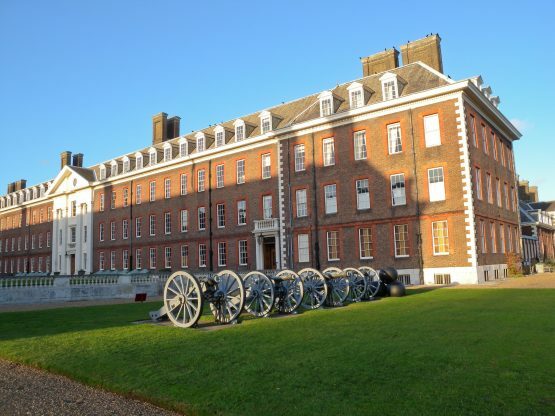 This project was secured with Wates following successful completion of masonry repairs to Somerset House another one of London’s Grade I listed buildings.